You might see me as a normal person. Vital and full of energy, but there is a darkside to the interaction that you can not see. You can’t see what interacting with you is costing me. You can’t see that because I spent a few hours of high energy fun, I will spend the next day, or two almost unable to get out of bed. You can’t see the frustration, or the anger. The disillusionment and disappointment, that I’ll never be good enough. You can’t see that a simple night’s sleep is often illusive, that my body doesn’t bounce back. You can’t see that a single careless word caused my adrenal glades to over react and that hollow, anxious feeling, inside will last for days after you’ve passed out of my path. The above is how I feel so often. I do things that others see and say well you’re doing fine now. What they don’t understand is tomorrow, or later this evening it won’t be so fine for me. It won’t be so fine for my family, or my homeschool. Balancing homeschool with a chronic illness is tiring and worrisome. You worry that you will never get it right, that your child will be behind, but you press on because this is what you want to do. What you know is right. I tried to put her in public school. She went a week, and lost ten pounds. I thought that it would be better for her, that her mommy was too sick to help her with school anymore. Some days you can see my illness following me like a thick cloud shrouding my skin. Others, it’s as if nothing is wrong with me and the pain and wariness is but a delusion of someone else’s dream. I’m a writer, who can’t write, and a reader who can no longer read, but I press on, I keep trying. I focus on the good days and then I feel guilt. My mind chimes in-- if because her mom has to take lots of breaks to make school easier, if it isn’t in one large chunk-- am I doing her a disservice when she’s older? Will she lack the work ethic needed to survive in our world. If she isn’t taught that you work for eight hours and there isn’t a break because you don’t feel up to going on and you need to lay down. What am I teaching her? I want her to want to work. I want her to love learning. I know that it’s taken many years, to know what was wrong with me. That if I had known I might have chosen a different path. I don’t know that I wouldn’t have home schooled, but I think that I would have planned a little differently. I wouldn’t have started her out with a rigorous online public school. I would probably have started her out with the program that we are doing now. Which I’m loving, but not at the same time, because I’m constantly playing catch up because she’s not where she should be. I’m wondering how much of that is her and how much is me. I know that some of it is because she’s a slow reader, we have an issue in our family that I didn’t realize had been passed to her(another thing that we would have prepared better for), so now her reading is hodgepodge, some of the programs are too easy, so I don’t know where to start her, and the others are to advanced. I’m not sure what the middle ground is. I’m not sure where to draw the line. I might have to see if my sister in law can skype, or something and evaluate her. Maybe tell me what to do, (she’s a certified teacher, and specializes in reading disorders). I think that things would go a lot smoother for us if I wasn’t always pressuring myself and her. I want her to make more progress then she is. I know that I should just back off that I shouldn’t compare our progress with other peoples and that we have a set of issues that are all our own. My best friend, writes, publishes, and home schools her son, and daughter and even with all the issues and challenges that she has, I still feel less than her. That I’m not doing near as well a job. She had a medical issue a few months back, and it appeared like she didn’t let it affect her at all. She just kept doing what needed to be done. She gets up and she’s always doing sixty things at once. I know I’m not, I know that each child is different. I know that she will get it, and that once she does there won’t be any stopping her, but it’s the waiting and the stress and the fighting in the mean time that gets to me. I’m not that perfect homeschool mom, that can mind six children, bake bread develop a new curriculum, and keep my house so spotless the children could eat off the floor. The dishes always done, the dinner always cooked, never a thing out of place. My body just won’t let me. But my mind, well my mind still thinks that’s what life should be like. Teaching the children through example how to have a smoothly functioning home, how to cook and clean, how to work without complaint, so that when they are grown they will keep a clean home, raise well mannered children and contribute in a positive way to society. There comes a time in every mothers life, I think when you have to let go of your preconceived notions on how you want to be as a parent, know that you won’t be able to provide the dream. That the reality is your house is often a mess, the kid back talks and sasses, tries to tell you how her math problem should be solved when you’ve just explained for the fifty time that you always start with the once place. Sigh. It is what it is. Messy. But how you handle that, what you learn from it and how you teach them to handle it is what life comes down to. So I’ve decided, that yes I have a chronic illness, It might get better. It will take a lot of work. 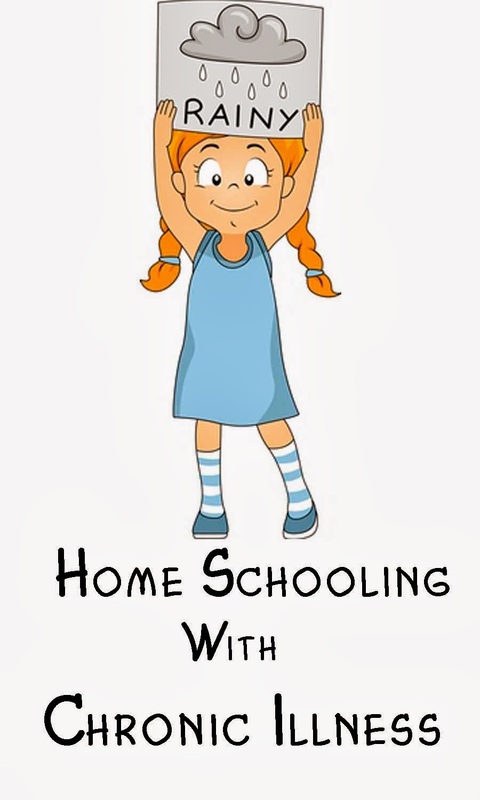 In the meantime, I need to slow down, let the pressure off and just enjoy the process of being a mother and homeschooling a very bright sassy girl who will go far in life even though her mother is full of doubt.